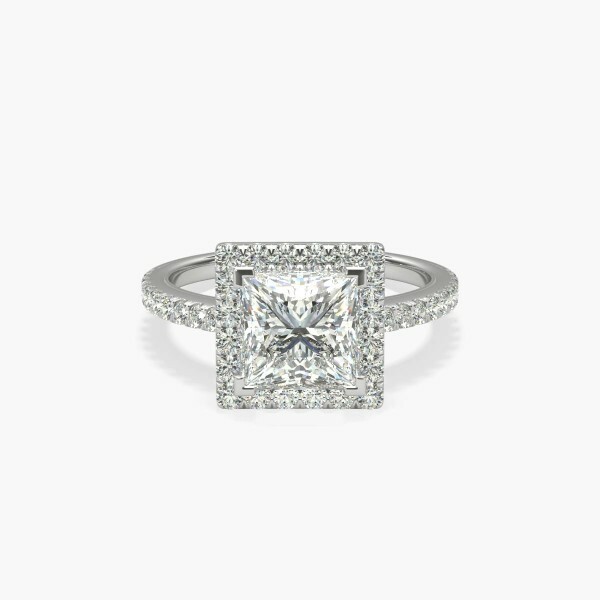 Our princess cut halo diamond engagement ring offers timeless appeal with a modern, graphic twist. The delicate 14k white gold style features a single row of micro-pavé set round brilliant-cut diamonds. Each ring perfectly frames your choice of princess-cut center diamond.